Remember that colorful cube most of us have had at least one of in our lifetime but most of us couldn’t actually do anything with it?! Sad to say I have never successfully completed a Rubik’s Cube – and not for lack of trying! Until I picked up my Cube-tastic! cube – then I had it solved in just about 1 minute! 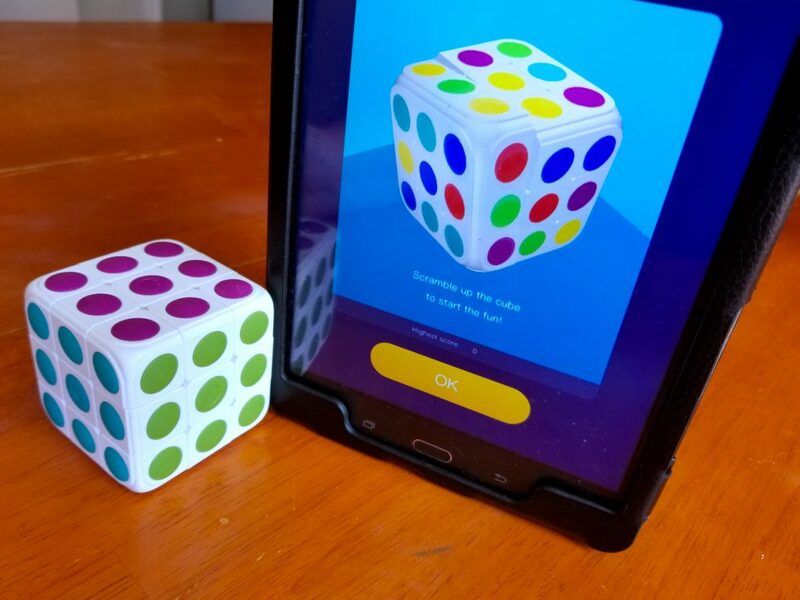 It combines this modern cube with a 3D augmented reality via free app that not only helps teach you how to solve your cube but also gives you challenges to work on! In the summer we spend a lot of time on the road exploring the USA and Cube-tastic! is absolutely perfect for my entire family. My husband and I enjoy it as much as the kids do! And to be honest this is a GREAT product to use for quiet time in the classroom as well. 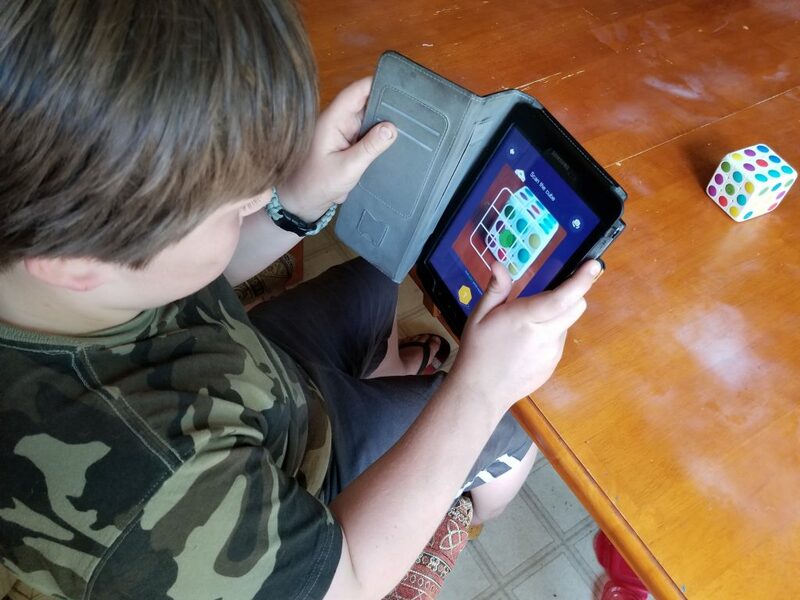 It makes no noise, is extremely affordable (runs under $20), and not only encourages hand-eye coordination and memory skills but it’s great for helping to develop problem solving skills. How do you play Cube-tastic!? Buy your Cube-tastic! here (USE PROMO CODE Roadtrip for 15% OFF!) , then download the free app on the App Store or Google Play. 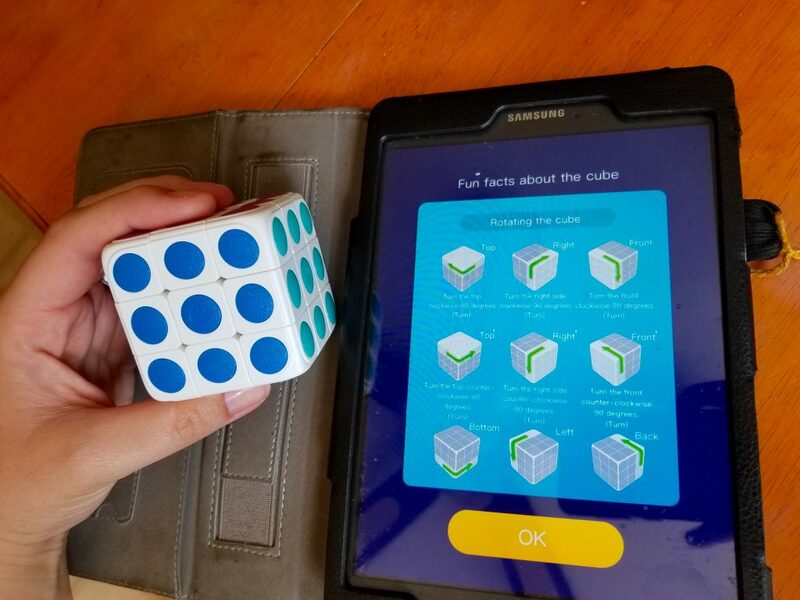 The app walks you through how to learn and play with the cube! It will remind you to scramble up your cube, and then scan each color specified on the cube. 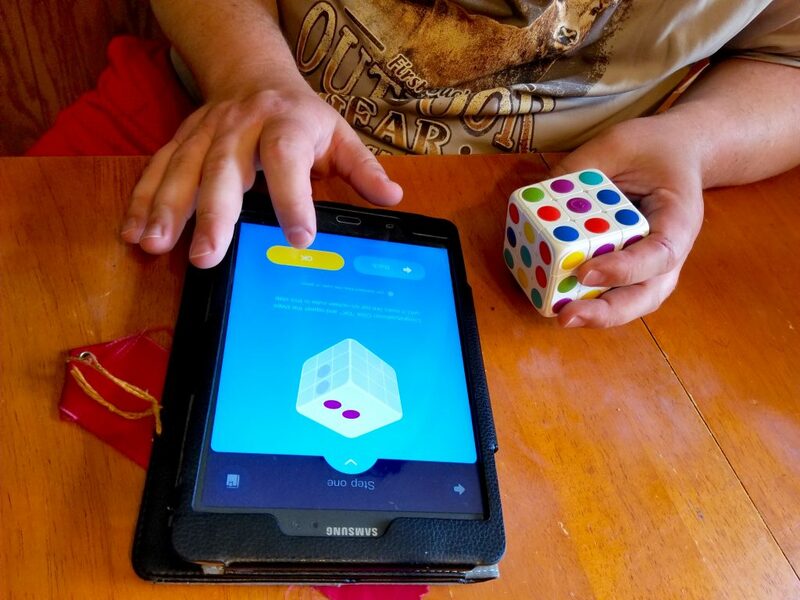 Next it will walk you step by step exactly how to turn and twist the cube to solve it! When I first started playing I began just randomly scrambling the cube then following the directions to solve it and timing myself. 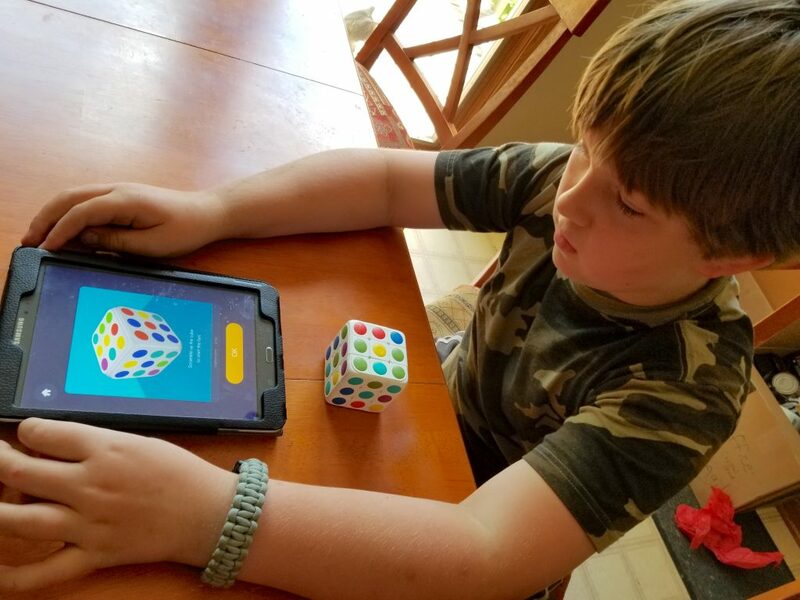 Now I scramble the cube, try to solve it myself, and then use the app to get the steps and complete the cube. It’s a great tactile and visual activity! You can also do specific challenges to solve in the app. Once solved it unlocks new combinations for endless play. The cube is non-toxic and 100% BPA-free. Plus would you believe that the cube is biodegradable!? 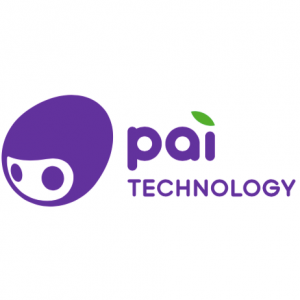 I LOVE the smooth feel of the cube and like the rounded edges so it’s not quite so boxy feeling. It’s a fantastic price and can be used in so many ways! It’s small enough to toss in your bag and travel with too!